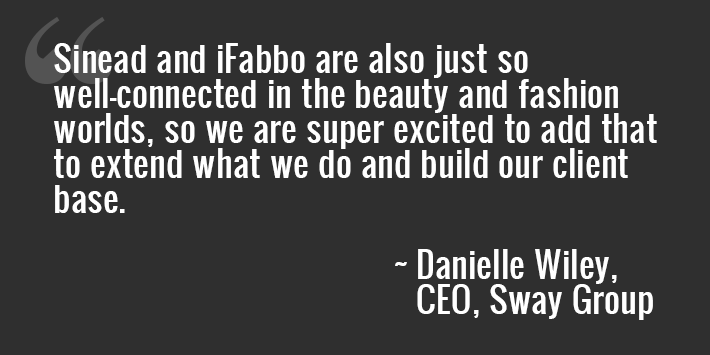 We are thrilled to announce that iFabbo is the latest to join the Sway Group of companies! Since being founded in 2011, Sway Group has evolved substantially. After acquiring the SITS Girls influencer community in 2014, the Massive Sway influencer network was established, which has since doubled in size. Sway Group has achieved year-over-year growth, all without outside funding, earning recognition on Inc.’s list of the 10 Fastest Growing Women-Led Companies in San Francisco, as well as its 500 list of America’s Fastest-Growing Private Companies. Acquiring iFabbo gives Sway Group the opportunity to further expand our influencer network and develop more relationships with beauty and fashion brands. The network has a presence in the U.K. and Australia in addition to the U.S. The network specializes in product seeding and, similar to Sway Group, focuses on matching up the right influencers with the right products and brands. iFabbo has worked with a number of top beauty and fashion brands, including Dermalogica, Dr. Brandt, T3 and Becca Cosmetics. 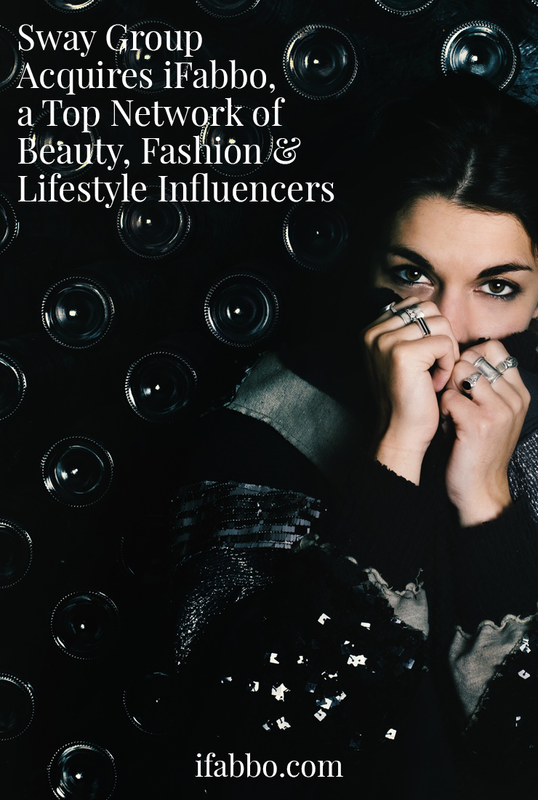 By continuing to grow our influencer network and adding some of the best beauty bloggers and fashion influencers, we further strengthen our current services and will build upon our client base in the beauty and fashion verticals. Sway Group has worked with several brands and retailers in these areas (including Ulta Beauty, Dove, John Frieda, and CVS), and we look forward to managing even more fashion and beauty focused influencer campaigns. 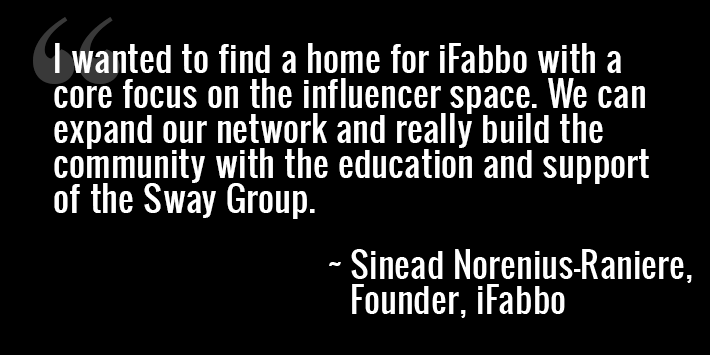 In addition, we are excited to have Sinead continue to guide iFabbo and lend Sway Group her expertise as an advisor. Let’s Make Your Fashion, Beauty, or Lifestyle Marketing Campaign a Success!